Forensics is defined as the use of science or technology in the investigation and establishment of facts or evidence in a court of law. Government law enforcement— including wildlife rangers, police, customs officers, prosecutors, and judges—all rely on forensic investigation and evidence to successfully prosecute criminals. Lack of capacity to distinguish legal from illegal wildlife products represents a major bottleneck in the enforcement and prosecution of wildlife trafficking. 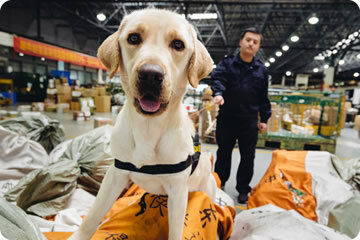 The adoption of quick and accurate methods to identify illicit material would greatly facilitate customs and border enforcement, market control, and the collection of reliable forensic evidence for prosecution. Forensic analysis may also help identify poaching hotspots and trafficking routes, determine geographic origin and age, and, when aggregated, offer clues that might assist law enforcement in preventing future crimes. However, forensic analysis is often too expensive and time consuming to be easily carried out by frontline personnel. The effective gathering and management of field intelligence is also essential to build strong cases against wildlife traffickers. However, data collection and management are often constrained by a lack of infrastructure, security issues, and – given the trans-boundary nature of wildlife trafficking – the disparate approaches of different governments. Information sharing across agencies and governments for the purposes of aggregation and coordination of international law enforcement is limited.